Now that this year is coming to an end, we would like to make a special year on review blog post with 2012 biggest fashion trends. This is our very own perspective of the trends and, therefore, it's a subjective list. Leather was pretty much in fashion this year. Bags were looking kind of vintage and very "square" shaped. Whether black or brown, or even is some more colorful versions, a leather bag was the biggest fashion trend for bags this year. Peplum was also pretty hot this year. Brands have peplum for every body shape. If you're pear shapped, you could wear a more simple version of peplum without giving you volume in your bottom half, like this Origami Pleat Peplum Dress, from AX Paris. If your body shape in inverted triangle, you could wear this Taina studded peplum top, or this Leopard Peplum Skirt from AX Paris to balance with your larger upper body. If you're an hourglass, you can pretty much wear anything, as long as you balance properly your upper body with you lower body without adding unnecessary volume to your shape. Riding boots are this seasons trend on footwear, specially the leather ones. They look amazing with casual dresses, skinny jeans, bootcut jeans and pretty much almost everything. They are also very comfy and therefore al women should have a pair. Check out these Kissa Riding Boots, from Ravel available at our style shop. So, these are the top trends we elected for this year in review. But tell us, what do you think was the best trend of 2012? 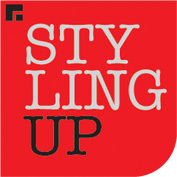 First of all thank you so much for signing up with Styling Up. We hope you're enjoying your experience at our style shop. We just launched a weekly newsletter especially for you. This newsletter is fully customized according to your body shape, which means that the newsletter you'll receive will not be same as someone elses newsletter. With this, you'll be able to see some of our latest stylist recommendations each week, confortably by receiving it in your inbox. To make sure you receive our weekly newsletters and they don't go to your spam box please add @stylingup.com to your safe list. We hope you enjoy this new service. Like every new service, this may have some issues, so if you notice anything unusual, please let us know. Your feedback is the best way to help us improve our service to you. If you have any questions or comments, feel free to contact us anytime. We respect your privacy and we won't send you more than 1 weekly newsletter. If, for some reason, you don't want to receive our weekly newsletters with our stylists recommendations, just click unsubscribe, located below in the newsletter and we won't send you further newsletters. Don't forget to spead the word about us! You can follow us in facebook, twitter, pinterest and linkedin. You can also invite your friends to join Styling Up, simply be logging in to your account in our website and clicking invite friends (you can invite them just by writing their e-mails). Thank you! 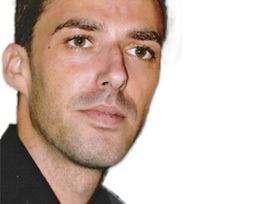 Carlos Martins is a devoted stylist at Styling Up. His style is mainly casual chic and he dreams of styling Evan Rachel Wood and Jonathan Myers. He studied fashion in 2000 but his professional path took him to interior design. He has been an interior designer for over 6 years, but he kept dreaming of becoming a fashion stylist and he worked in theaters and contests as a wardrobe stylist ... he loves combining colors, fabrics, textures, and he’s an art and design lover. Carlos loves everything that is edgy and chic. He started working at Styling Up right from the beginning and in our website he has already styled hundreds of awesome outfits. You can find style recommendations from Carlos in our style shop. Get to know this stylist a little better in the interview below. How and when did you start in the fashion styling career? Tell us your story. As a fashion designer I worked at some projects in the area like wardrobe for characters in theater and contests. I also work as an Interior Designer at BoConcept. I made some interior projects and others like commercial stands at Lisbon Fashion Week. Right now,AAAARight now, Rightcss I´m collaborating with Styling Up at big scale, customizing outfits for all kind of clients and I’m also working at a worldwide fashion brand, very known for its casual and luxurious pieces, as a consultant. Well... for me Fashion is like a statement of art. It’s a large step for someone to become unique and singular! What are your favorite brands & designers? Why? My favorite designers are Marc Jacobs, Tom Ford, Dolce&Gabbana , Alexander Wang and so many others, because they all have an unique vision about concept and style. 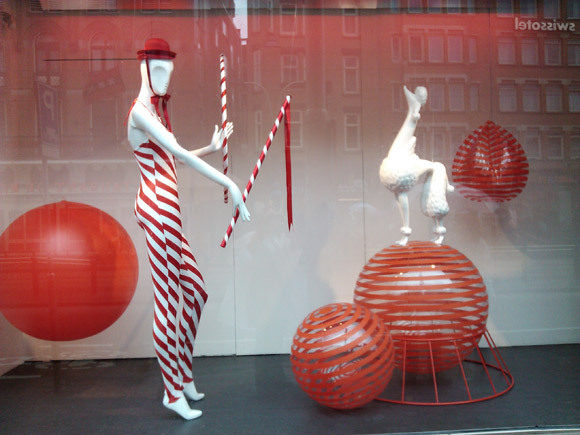 Besides of fashion, I also love other visual arts like design, sculpture, and so on. My personal style is a mix of concepts and brands… so, mainly, I define my personal style as trendy. I’m always looking forward for trends and trying to discover new ways to approach my kind of look and style. Like every other person, some days I feel like I need to conquer the world with a new vision or statement, and on some other days I just get on a more casual and discreet mood. This is why I say that my style is my own statement… I follow my own rules, concept and style. Funny, this is the old question that anyone wants to know an answer for... It really depends because every woman is different, but I think that every woman should have one black dress, it doesn’t matter if it’s simple because you can style it up with accessories; a fabulous pair of shoes and bag… This always works and regarding the last two (shoes and bag) it really makes sense that you pay for quality (eg: a pair of Louboutin). Which season do you prefer to style for: Autumn/Winter or Spring/Summer? I love styling for the end of summer’s season, when everyone is relaxed, and thinking about the sun, the beach, parties and romance… everything is going on smoothly and perfectly and we can take some fashion risks with colors and patterns and mix all that. Of the clothes you recommend in Styling Up's website, which is your favorite for this Autumn/Winter season? Actually, I love several outfits for different reasons: This dress from Pepe Jeans, though it’s casual, I think it makes a beauty statement; This Jumpsuit from Diesel is very trendy and sophisticated and I think that this color is great for this season and I think it’s awesome to wear to a party or cocktail; This pleated dress from Missguided is great for someone who wants to be unique and make a statement wearing a more bright color… I also find the color very refreshing. 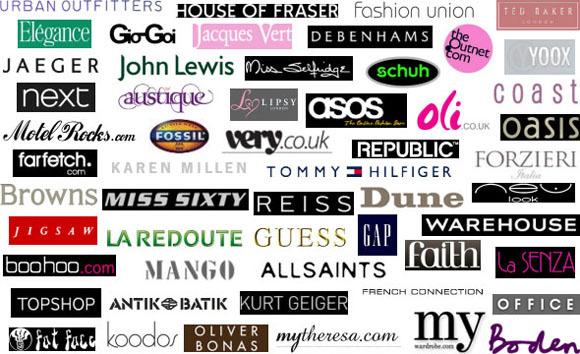 If you could be a fashion stylist to one person, dead or alive, who would it be? Probably Evan Rachel Wood and Jonathan Myers. Both are young and have a peculiar attitude. They also represent so many things I enjoy, like for example indie movies, music, art and they both also rock at big parties. I would love to create their next style. What do you think about fashion blogs and magazines? Which ones do you check out regularly? I love both fashion blogs and magazines, because we can learn so much about fashion, designers and what will be trending next season. Since everyone has different ways of looking at fashion, it’s great to read about different perspectives and discuss it. The blogs I check up frequently are the following: The Sartorialist, The Style Examiner; Alfaiate Lisboeta, and so many others. As for magazines, I recommend: Dazed and Confused, Kaltblut Magazine, Dsection Mag and V Magazine. Many of you have already asked this question over and over again. And we heard you :) . 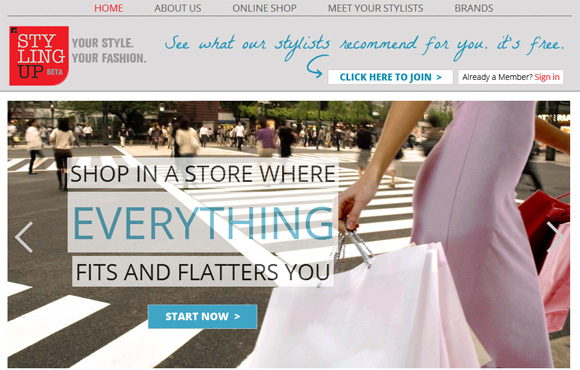 As you probably already know, Styling Up is a website that provides a free online fashion styling service to all women. 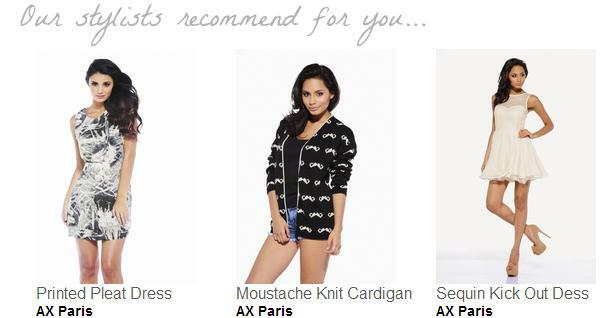 After registering in our website, users will only find clothes that fit their size and flatter their body type. So, in our website we already know our users body shape, but we never shared that information with them, so they didn't know their body type. Now, users and non users may calculate their body shape in our body shape calculator page, just by entering their bust, waist and hip measurements, in inches or cm. After clicking in "calculate my body type" button, you'll be redirected to your body shape. We consider 6 body shapes: Hourglass, Pear, Inverted Triangle, Diamond, Oval (or Apple) and Straight (or Rectangle). Each body type has its own characteristics and, to dress proportionally and to create the illusion of an hourglass shape (if you don't have it already), you should really know what's your body type. For example, if your body shape is Inverted Triangle, in other words, that means that your bust and shoulders are broader than your hips. To create the right proportions, tou should look for bottoms that balance your lower haf with your uper half, like full or A-line skirts or wide legs / boot cut trousers. This is just an example of how knowing your body type can really help you feel better about your body and help you embrace your body type and feel more confident about yourself. No matter what size you wear. In our body type calculator page (click on the image above) you'll not only be able to find out what's your body shape, but you'll also have access to a tips page especially dedicated to your body shape. You'll find some tops and bottoms recommendations and also some pictures of celebrities that have the same body shape as you. Most importantly, you'll also see some of the clothes recommendations of our fashion stylists, especially for your body type. So, what are you waiting for? Take your bust, waist and hip measurements and go find out what's your body type, and take a peek at some of the clothes recommended by our stylists. Raquel Lança is a passionate fashion stylist that has been working with Styling Up right from the beginning. She's also a daily blogger at her own blog, Clínica de Estilo. Though she first graduated in Tourism and worked as a travel agent for several years, her true passion was always related to fashion and style, and she always knew that it was her dream to become a fashion stylist. She fought to pursue her dream and she did it, and now Raquel works full time as a fashion stylist. For her, fashion “has something to do with breathing”, and she says that like it or not, style is always your first impression ticket. Check out her interview and get to know her a little better. You can also find style recommendations from Raquel in Styling Up’s style shop. I remember that, since at a very young age that I love fashion. Back then it was very hard to do something besides being a fashion designer. Since I didn’t actually had any drawing skills to become a fashion designer, my hobby was to style everyone, not only members of the family, but also friends. Every time there an important event was coming, I was called to help. I mainly work with real people and help them when they’re going to a big event. I also help people in creating wardrobes for themselves, or just help cleaning their wardrobes, by choosing the clothes that best fit their style, body type, quality, etc. I also dedicate myself, every day, to my fashion and style blog, called Clínica de Estilo. And that also requires much dedication and time. Well I guess it has something to do with breathing... I cannot live without it! What are your favorite brands & designers? My favorite brands are Balenciaga, Pucci, Valentino, Helmut Lang, Zanotti, Manolo Blahnick, Aquazurra, Zac Posen and Balmain. They are all very different in style, but I guess that’s also a personal characteristic of mine, because I can’t identify myself with just one style. 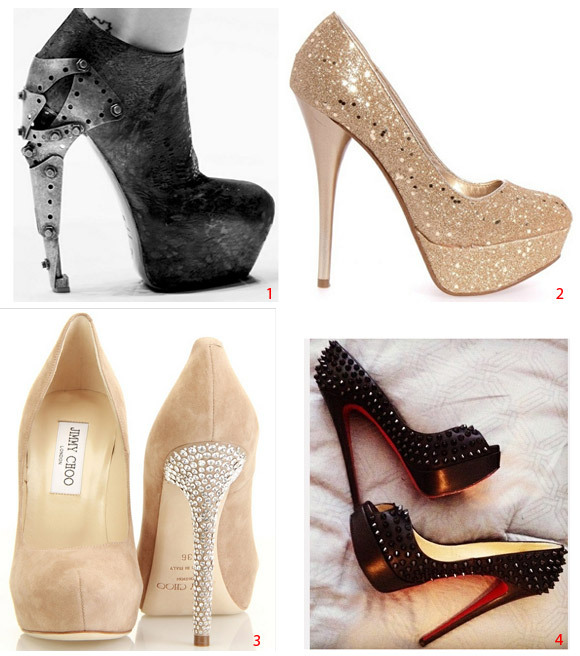 Like most women, shoes are my true love so I’m always seeking new brands and new designer shoes. I think that all women’s wardrobe should have are a fabulous trench coat, a pair of dark blue jeans and a simple white shirt. The greater challenge as a fashion stylist is always when someone really likes a piece of clothing, that we already know that’s not good for their figure. This does happen often. What I usually do is: I ask them to try that piece of clothing on, and then I ask them to try another one that I think is most flattering for their body type, to see if we can reach an agreement. If that trick doesn`t work, I’ll try to negotiate later with another piece. What’s that great fashion tip that you can share with us? Be yourself, don`t imitate others! Style is a very personal matter, because it tells people who you are. There’s usually just one opportunity to make a good first impression, and everyone should always look at their best. I prefer Autumn/Winter mainly because there are lots of accessories to choose from, like gloves, rain-coats, hats, scarves, etc. But I also love the Spring/Summer Season because of the sandals… and I love sandals! 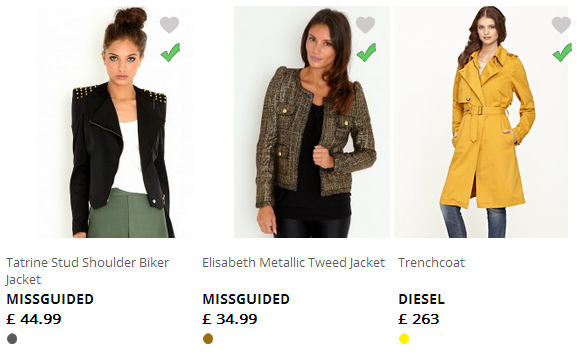 Of the outfits you recommend in Styling Up's website, which is your favorite for this Autumn/Winter season? For me these Wet Look Leggings from Miss Sixty (on the left) are a statement for this Season. 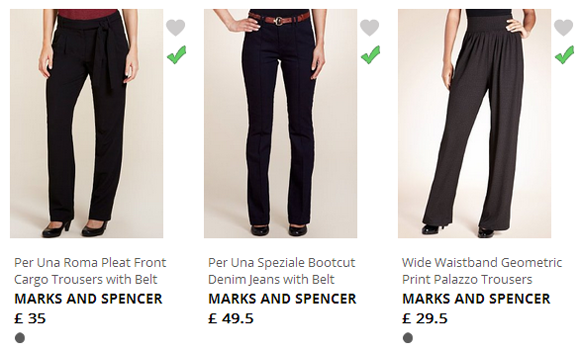 With these, you can create outfits for work, leisure or evening… they just have to be styled perfectly. They’ll look great with faux fur, a white shirt or a big jumper. I believe they’re a great investment for this Autumn/Winter Season! I think fashion blogs are great because we can get all the information/news we need at a click distance. The only aspect that I find negative is that most of them only focus on trends and nothing more… and the common reader, when reads that, thinks that those trends are good for them and that may not be true, because we all have different body types and styles. Not all trends suit our body type and style! I usually check out a lot of fashion blogs daily, but they’re based on different countries like Brazil, Spain, Italy and, of course, Portugal. I also buy “Harpers Bazaar” and “Vogue” every month. What would you say to all those youngsters who want to start a styling career. Any advice? Be prepared to work very hard every day! And be humble to learn from others. As an Hourglass body shape, your bust and hips are a symbol of harmony. They are very well balanced and your waist is very well defined. Your shoulders align beautifully with your hips and you probably have a rounded bottom and shapely legs. If you're an Hourglass body type, congratulations, you have a Marilyn Monroe body shape, a symbol of harmony and perfection. If you're not sure about what is your body type, please view a description of all body types. First of all, do show off those killer curves and do not hide yourself behind baggy clothes. You curves are awesome and your body type is the sexiest as there can be! To enhance those killer curves, we advise that you dress proportionally both the top and bottom half of your body, while accentuating your waist. If you're looking for a more curvaceous look, you can also "play" with proportion, and add a bit of volume to your upper and lower half. Please note that we mean proportionatelly, because your body already has the right proportions naturally, and you should always look for balance. Skirts that show off your shapely legs. Choose wide open and V necklines because it will define your bust line. Don't add unnecessary bulk with large chunky belts. Again, you don't need it! 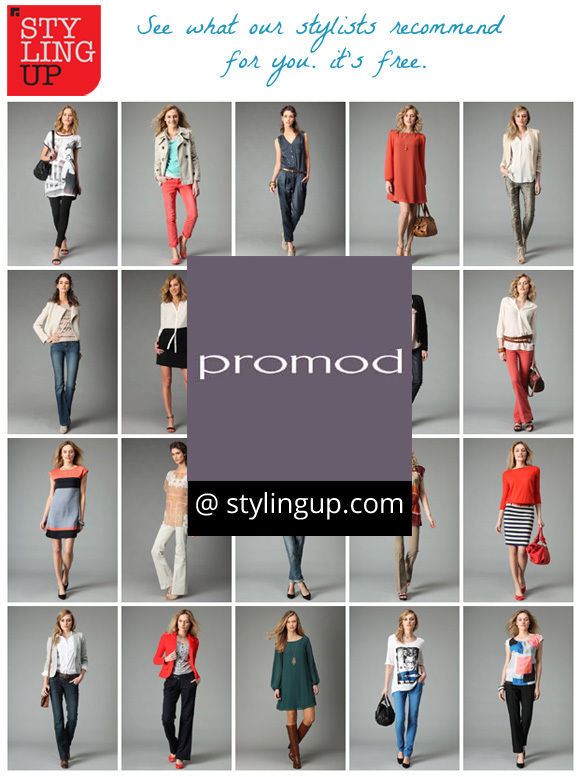 If you need additional help to find clothes for your body type, please visit our website: http://stylingup.com, where you can find clothes recommended by our fashion stylists. If you have any question, you can also comment on this post and we'll gladly help. Now that a month has passed and you had to chance to use it, we'd like to ask you for feedback. Help us build a better service for you by giving us feedback. Your opinion matters to us! 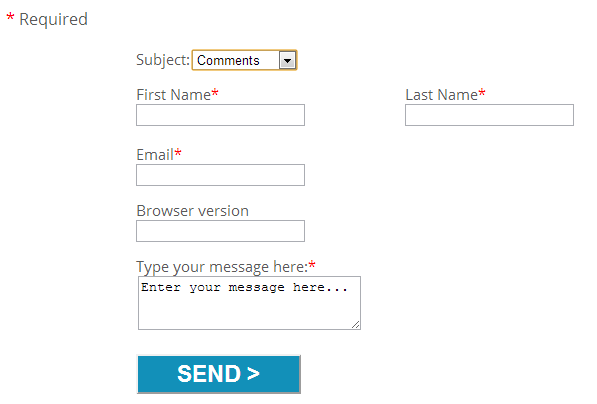 Please use the contact form in our website. We'll carefully read and reply to all e-mails. Thank you! We all know that the black dress is a must have in every women's wardrobe. 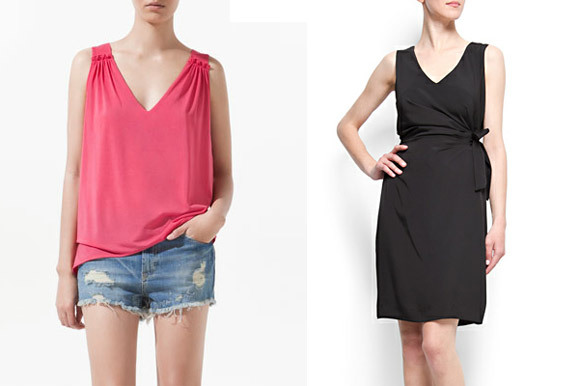 But, can you style your simple black dress in to something amazing? If not styled correctly, a simple black dress is just a plain, boring piece of clothing. But, with the right accessories, it can be not only amazing for evening, but also to many other occasions. Here are a few tips on how to style that black dress that you most likely already have in your wardrobe. 1) Who said black and brown can't be mixed? You can have your plain black dress styled with a brown bag, belt or even shoes. And it can look amazing! Black is a neutral color that goes with any bright color you like. Or even patterns. While you're wearing your black dress, style it with color, and balance it with a splash of color. You can go from vivid pink, to red, or even light blue... as long as it's a bright color you'll look amazing. This color can be in your shoes, clutch or bag or even in your bracelets, earrings, etc. Just beware not to use many different colors, because if not done correctly it may be a styling disaster. A recipe that usually never fails is to wear 3 different colors at a time, where one should be neutral (eg: black, white, brown, grey), and the other two have to match. If you don't know which colors match and which don't match, take a look at this post, and read about the color wheel. Dresses can be layered. In fact, the outfit can look awesome with some layers. A good trenchcoat, coat, or even biker jacket (depending on the dress, off course) can be a true plus to the whole outfit. And the jacket doesn't have to be black. It can have color or even a pattern. Get wild with it. What about you? How do you style your simple black dress? Note: We are looking for guest authors to write in our blog about fashion, styling, tips, makeup, etc. If you're interested, please e-mail us at: info [at] stylingup [dot] com and we'll get back to you. As a Pear or Triangle body type, your hips are larger than your bust and your waist is defined beautifully. You have proportionately slim arms and shoulders and an elegant neck. You tend to gain weight in your bottom and legs. Your waist is usually your best asset, so you should show if off. If you’re not sure of what’s your body type, please view a description of all body types. Your main priority should be finding balance between your lower and upper body. Because your hips are wider than your bust, you should look for items that give the illusion of volume in your upper half. Your waist should always be the centre of the attention while you’re styling yourself. Colorful and bold patterns tops. Darker colors and clean lines. Avoid pants with pockets or embellished details, especially around the waist area. If you need help, please comment! We’ll gladly help! If your hips and bust are balanced and your waist is not very defined, you’re a straight or rectangle body type. See our previous post, for a more detailed description of all body types. As a straight body type, the most important tip we can give you is to create proportion on both your upper and lower body, enhancing your waist. You can wear tube type dresses and create a waist by adding a wide belt. To create a more curvaceous look, add volume, or the illusion of volume, proportionally to your upper and lower half, by mixing and matching other pieces. Tops flowing around the bust. Need help? Post a comment and we’ll gladly help. Well, if you’re browsing through Styling Up’s online store, you actually don’t really need to know what’s your body shape, because it only shows you (after registration) what fits and flatters your body shape. 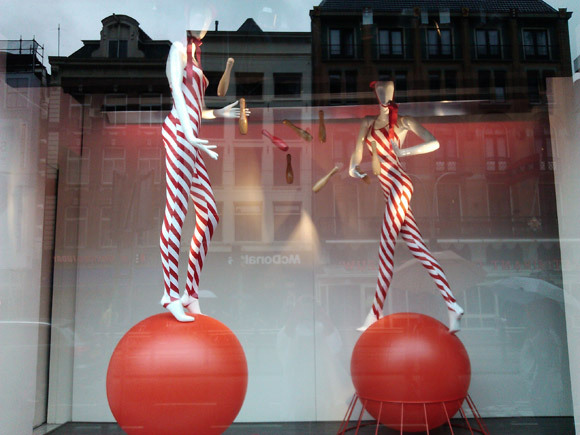 However, if you’re shopping in retail stores, you really should know what’s your body shape. And we mean your real body shape, and not the one you expect it to be. First of all, you should know that no women is fully satisfied with their body, there’s always something we’d like to change… but all you have to do is embrace it and work with what you have. Remember: fashion is architecture, and you just have to find the right clothes for your body type, no matter what size you wear. Once you know your body type, at least it will save you the time of trying 10 pieces and none fitting properly at retail stores. So, here are the 6 body shapes we’re working with at Styling Up. Hope you can find this information useful. 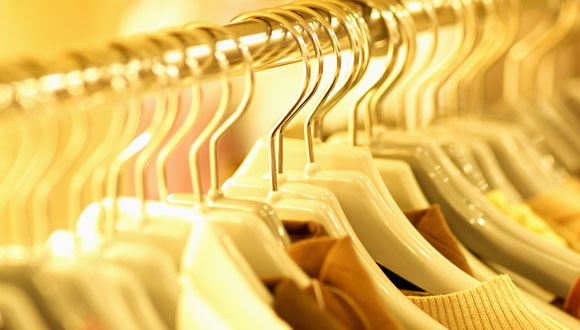 With time, we’ll post more detailed info and tips on finding perfect clothes for every body shape. Your hips and bust are perfectly balanced, but your waist is not very defined. You tend to gain weight first in your torso and then your arms and upper thighs. One of your best assets are your lower legs, that are beautifully shaped. You have a nicely defined waist, and your hips are larger than your bust. You first gain weight in your bottom and legs flowed by your tummy and upper body. You have an elegant neck and proportionately slim arms and shoulders. Your waist is your best asset, so show it off! As an hourglass, your bust and hips are well balanced and you have a beautifully defined waist. Your rounded shoulders align well with your hips. Your waist elegantly curves out to your hips. You’re likely to have a rounded bottom. Your upper body is proportional to your shapely legs. Your body type is pretty balanced! You have a larger upper body, with broad shoulders, ample bust and wide back. Your hips are slim, your waist is subtle and your bottom may tend towards the flat side. You have a tendency to gain weight in your belly and upper body. You have stunning shapely legs. As an Oval body type, you have large bust, a full midsection and narrow hips. You tend to gain weight in your stomach, back and upper body. Your waist is undefined and full. Your buttocks are a little flat and your legs are slender. Show off those awesome legs! Your hips are broader than your bust and shoulders and you have a full midsection. You have a tendency to gain weight in your stomach, hips, buttocks and back. Your waist is not defined and full. You upper legs are full, but your lower legs are shapely and slender. You also have shapely and slender arms. 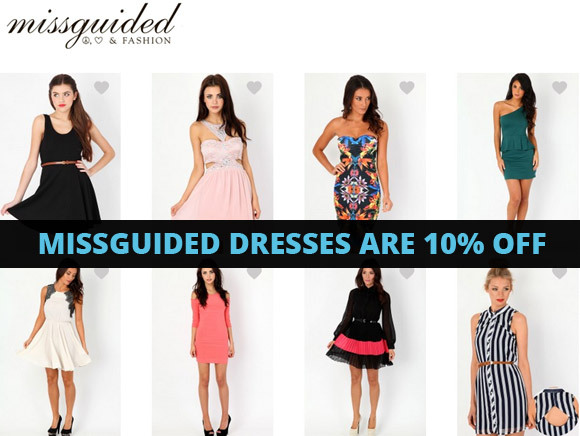 Shop the latest in fashion forward dresses from Missguided, at Stylingup.com, with 10% off until midnight Sunday 23rd September 2012. To redeem your discount, click on "Buy this Item" from our website, and after being redirected to missguided website, simply enter DRESSUP at the checkout. DRESSUP must be entered in capitals. Ends midnight Sunday 23rd September 2012. Cannot be used with any other offer. Valid on dresses only. Click here to view the Missguided Dresses on our Shopping page, and login to see which of them our stylists recommend for your body shape. Styling Up went to Amsterdam this weekend and we loved the city. Very nice people, with different styles everywhere. Around, bikes are everywhere. The city has more bikes than people. A curious fact is that the bikes were, some of the times, also "dressed up" with flowers and other accessories. It was a really nice weekend indeed. People are just awesome! 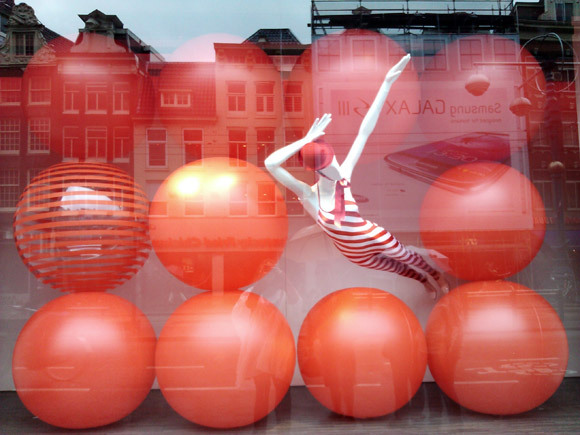 While we were visiting the streets, we found awesome installations on "de Bijenkorf" windows, in the centre of Amsterdam. We loved the concept so much that we couldn't resist to shoot it with a smartphone and share it with you. Sorry for the reflections though. Finally... the summer is here! Although the sun is a bit shy this year, we'd like to celebrate the entry in the Season by electing the top 4 swimsuits we saw on Pinterest in the last 2 weeks. We <3 them all! What about you, what's your favorite? If you had to choose one pair, which ones would you pick? Use clothes to sculpt your midriff, so it looks less like an apple and more like an apple core. At the same time, draw attention to your favourite bits - that cleavage, those legs, and anything else you really like. 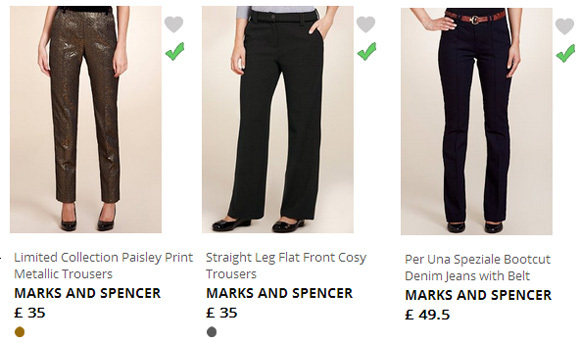 Show off your lovely legs with straight or boot-cut trousers. Look for flat-fronted trousers with a wide waistband to draw attention away from the stomach. Don't hide in baggy trousers. Open up the neckline. V-necks and scoop-necks are good for apple-shaped ladies as you often have a great bust. Don't be afraid to show it off. Use structured, tailored jackets to give definition to your upper body and show off good shoulders. Look for single-breasted versions with one or two buttons. Wrap dresses are always a winner for an apple body shape as they fit nicely over a fuller bust. A side tie on the dress will draw attention away from the stomach. Make me up – There are no uggly women just bad makeup! Hello girls, I'm new in the blog and I'll cooperate with this project, writing about all kinds of things that make women beautiful! So to start I'll tell you a little secret about makeup: there are no uggly women, just bad makeup! ;) First things first and the most important thing to do is to pick the right foundation for your skin tone, my advice is, in doubt, choose the lighter one, because you can always adjust the tone with your loose powder. This part is really important because if you choose a really dark loose powder, it'll ruin it all! You could choose a darker tone than your foundation, but be carefull don't over do it, gold tones make a really awesome effect in our cheeks, besides covering our skin imperfections they also illuminate the face! Our eyes are the most expressive part of our face, so you'll want them to look gorgeous everyday! If you don’t know what eye-shadow color is the right one for you, keep it simple! A really soft white eye shadow and a black waterline pencil could perform a miracle for your daily looks and its really easy to put on! So girls with these tips you can look absolutely beautiful everyday, whether you're heading to work or to lunch with some friends! Which pair of shoes would you choose for this outfit?